Jeep Cherokee is a very solid and respected model continuing to build off of the plan put in place for this crossover. 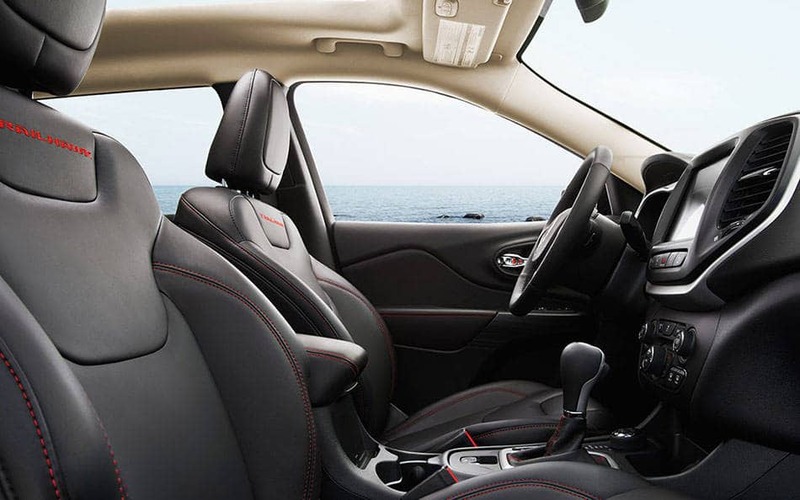 Fuel economy, on-road handling, excellent appeal and well-known brand power showcase this to the eager segment. This year the Jeep Cherokee is being offered in four models which are the Cherokee Sport, Cherokee Latitude, Cherokee Limited and Cherokee Trailhawk. Auto transmissions and fuel capabilities up to 31 miles per gallon are headlining this year's model along with off-road capability. 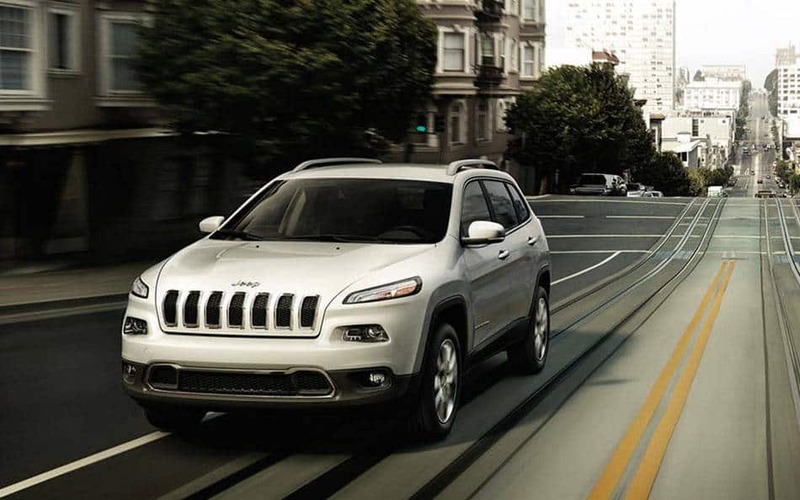 The 2016 Jeep Cherokee has the ability to drive nearly 500 miles on a single tank of gas. Also a number of model "firsts" have been inserted into this year's offerings including a Pentastar V-6 engine which is well known and reliable in the field and an automatic transmission that has nine speeds. This setup puts out 271 horsepower and 239 lb.-ft. of torque. Another available option is the MultiAir2 Tigershark I-4 engine giving 184 horsepower and 171 lb.-ft. of torque. The towing capability of the Jeep Cherokee is certainly something to see with a maximum capability of 4.500 pounds which takes best-in-class. When the 4x4 ability is not needed the Jeep Cherokee can disconnect the rear axle from power to save on fuel. Jeep Active Drive transitions the vehicle in and out of four-wheel drive automatically when conditions dictate. Steering corrections are also helped by this technology during tough conditions. Another jump up brings you to Jeep Active Drive II which is part of the Cherokee Latitude and Limited and comes with two types including torque management and low range allowing for better climbing. The height of the ride is also increased by an inch. The premium model of Cherokee offered is the intensely capable Jeep Cherokee Trailhawk which is extremely proud to be the most capable SUV in the segment. Off road ability is certainly front and center in this offering with skid plates, differential lock, tow hooks and a one-inch lift from the factory are featured. The design angles of the Trailhawk are for situations occurring off road. The Trailhawk is Trail Rated meaning it meets certain criteria when it comes to ground clearance, traction, articulation, water fording and maneuverability. UConnect touchscreens come with the Cherokee and include a new Drag and Drop menu, Do Not Disturb Mode and Siri Eyes Free. With drag and drop technology the driver can simply take what they want from a program folder and pose it readily on the main screen. With the Eyes Free feature drivers at the push of a button have the ability to simply use their voice for command inputs while they concentrate on the road ahead. Do Not Disturb is for operators who would rather their driving experience be in peace and allows for call forwarding on easy text response that is fully automatic. Another newer bit of technology is Engine Stop Start which turns the engine off when the vehicle is stopped to help conserve gasoline. This doesn't change anything on or off in the cabin and it allows the engine to resume fully when needed. This feature also is designed to be turn off at the press of a button if not wanted. Lastly, there are many options for exterior colors that help with image and style and let you be you. Can you help me finance my 2016 Jeep Grand Cherokee? Where can I learn more about your tire specials? Where is Kernersville Chrysler Dodge Jeep RAM? 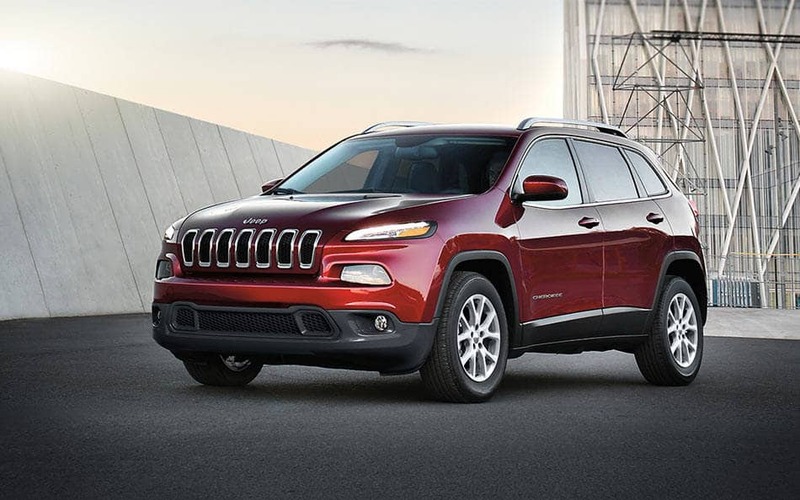 The 2016 Jeep Cherokee has 70 safety and security features that are masterfully designed and implemented. The vehicle itself is produced with 65 percent high-strength steel and includes such safety measures as Forward Collision Warning-Plus; ParkSense Parallel and Perpendicular Park Assist; electronic roll mitigation; ParkView rear backup camera with dynamic grid lines. The 2016 Jeep Cherokee is at the top of its class in many categories and offers a very reliable crossover for wherever the road or trail may take you. Come see us or give us a call at 888-836-3789.